The Greek America Foundation hosted its National Innovation Conference (NIC) and Forty Under 40 Weekend, in the City of Brotherly Love, Philadelphia, this past weekend. The event, hosted each year in various cities, made its way to Broad Street, at Temple University, where Hellenes from all over North America converged. This year’s NIC was held in collaboration with the National Hellenic Student Association (NHSA) of North America, an umbrella organization for Hellenic student organizations throughout the United States and Canada. The National Innovation Conference was an exciting and inspirational event. Students and young professionals were treated to a series of enthusiastic and vibrant speakers. They also were able to explore professional and social opportunities. On Saturday, May 5, Temple University’s Performing Arts Center, provided an opportunity for attendees to hear the stories of those who became successful and how they overcame obstacles. The common theme was taking risks and not being afraid to fail. Entrepreneur and Founder of the Greek America Foundation, Greg Pappas hosted and introduced the Saturday series of speakers. Pappas, a prominent and dedicated figure in the Greek-American community, known for his networking and communication, drives many projects that preserve and honor the essence of Hellenism. Two-panel discussions highlighted Saturday’s daytime program. The first panel discussion, “Slay In Your Lane,” featured a dialogue with a group of dynamic women who shared their experiences in philanthropy, science, politics, and education in the era of the #MeToo movement. In the afternoon presentations, eight of the continent’s most innovative and successful food and beverage entrepreneurs assembled for a panel discussion called “Food 2.0.” The dynamic panel discussion led by Pappas discussed how Greeks have evolved from immigrant stall-owners in the markets of North American urban centers and pushcart fruit vendors into one of the nation’s most successful forces in the food industry. Panelists also tackled the topic of food and beverage into a contemporary and profitable product. How it has now gone beyond the Greek neighborhoods and has helped bring Greek culinary concepts to the mainstream North American consciousness. During the breaks, attendees were seen busy handing out their cards, networking and introducing themselves to guest speakers. 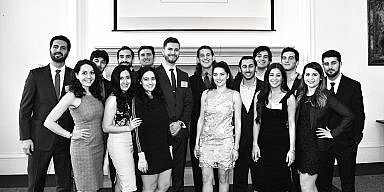 The entrepreneurial and ambitious spirit of young Hellenes had created a buzz in the room as they mingled. 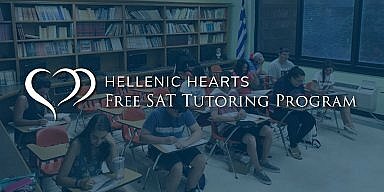 It was an opportunity for them to shared their stories, and grow closer as a Hellenic community. Attendees left the event inspired to make a difference in the Hellenic community as well as in their professional life. Later that evening, the Greek America Foundation hosted their Forty Under 40 Awards which honored 40 individuals under the age of 40 for their remarkable achievements, not only professionally, but also for their philanthropic and volunteer work. Hellenes from around America mingled, took photos in front of the Greek American Foundation Banner, and strolled the exhibit of images of the recipients before the historic ceremony. Actor and guest MC of the evening, Anthoula Katsimatides hosted by the chic affair that brought the spotlight on the high achievers, and to some extent the City of Philadelphia. The Greek-American community of Philadelphia had never hosted a national Hellenic event of this type before. There was a great sense of pride for fellow Philadelphia Hellenes who attended as well. 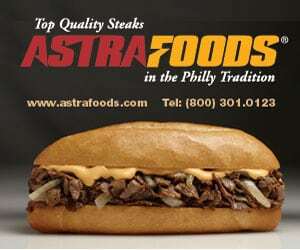 Four members of the Philadelphia Greek community were also honored amongst the 40 selected recipients. 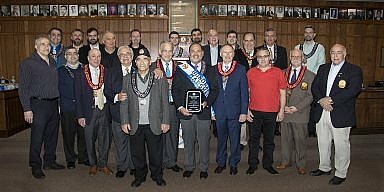 Louie Karapanagiotides and John Vasiliou, both members of St. Demetrios Greek Orthodox church and from Upper Darby, were recognized and received awards. The evening concluded in a traditional Greek style, featuring Greek music, dance, and cocktails, that was followed up by a fantastic Greek Night, hosted by the NHSA at Positano Coast featuring DJ Makis.